IIZI Group AS is a company based 100% on Estonian capital, which mediates 60 million euros worth of insurance premiums a year and which includes IIZI Kindlustusmaakler AS, Insurance Broker Services OÜ, SIA IIZI Brokeris, SIA IIZI and IIZI Firstbrokers OY. As a result of the transaction, Igor Fedotov will become the biggest shareholder. Igor Fedotov has 17 years of insurance experience and he has been managing IIZI Kindlustusmaakler AS as of the year 2010. “Looking at the current developments in the IIZI Group, it is a logical investment,” says Igor Fedotov about the transaction. The previous majority holders are interested in dedicating themselves 100% to the development of the insurance software start-­up www.insly.com, while the executive management of IIZI Kindlustusmaakler is interested in promoting the insurance mediation side of the business. “We want to be even more professional customer representatives in this complex and highly competitive insurance domain,” added Fedotov. IIZI Group AS, which has been offering insurance mediation services for 15 years now, will continue working strongly in the insurance mediation market, being the biggest insurance broker in Estonia and third in line in Latvia. The company is involved in insurance mediation in Finland as well. IIZI Kindlustusmaakler AS is the biggest insurance mediation company in Estonia, while also being one of the first companies that started offering insurance services on the internet. Today, high quality brokerage services are offered to both large and small customers through personal solutions and the biggest internet-based self service environment. IIZI Kindlustusmaakler AS has been operating on the market since the year 2000, and at present it holds a market share of 22%, making it the largest broker in Estonia. 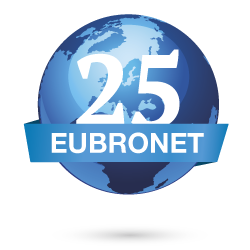 Internationally the company is represented in Latvia and Finland. 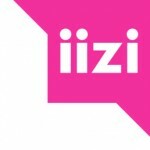 IIZI Group AS employs over 150 people.